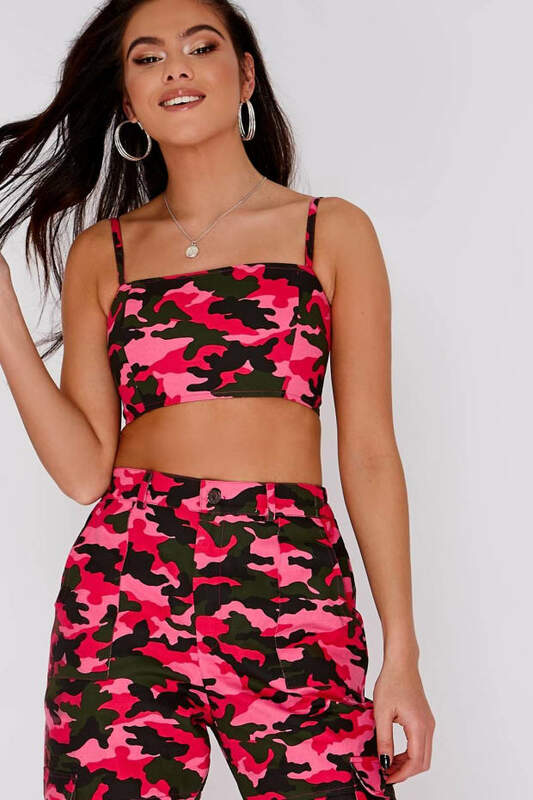 It's all about camo this season and this crop top is out of this world! 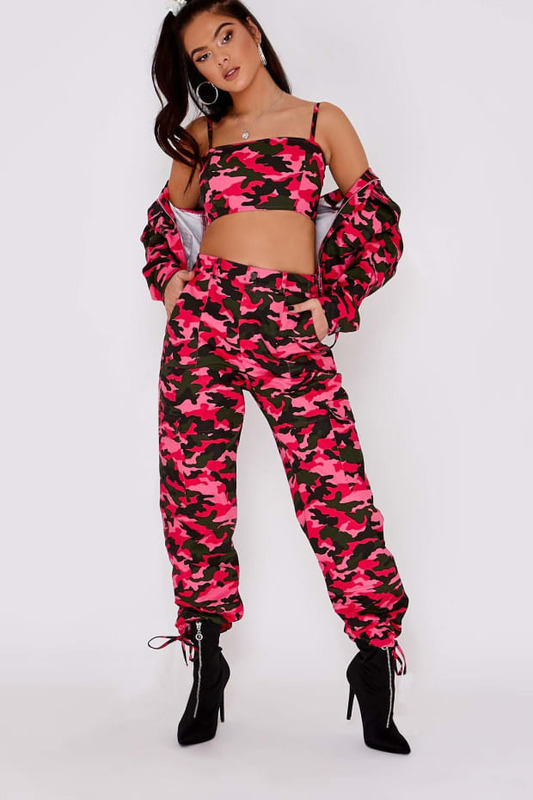 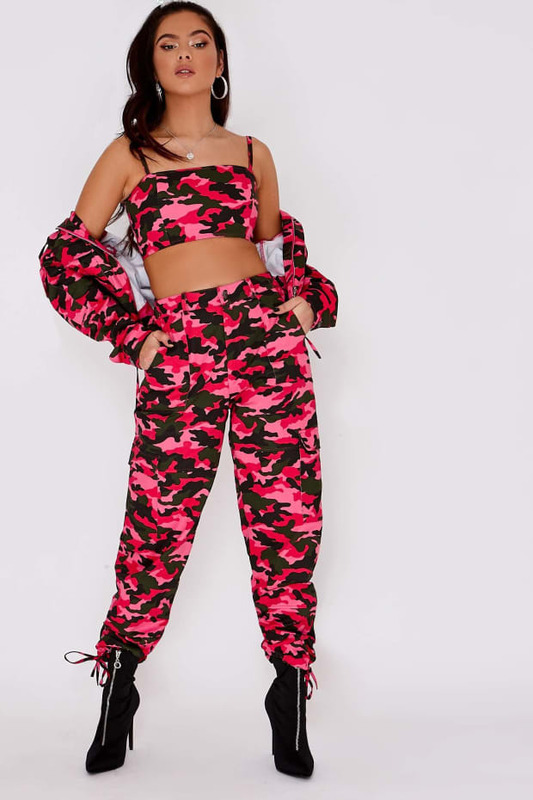 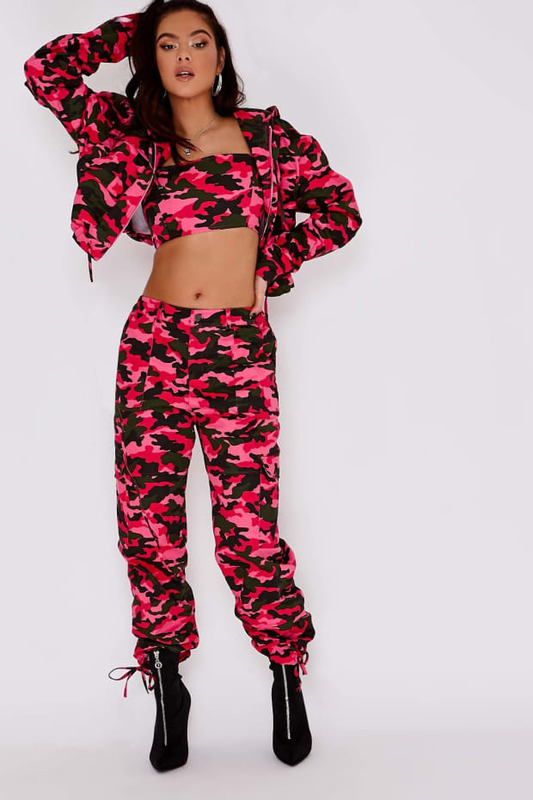 Designed by mega babe Pia Mia featuring a sassy pink camo print and bandeau style, this crop is a wardrobe must have! 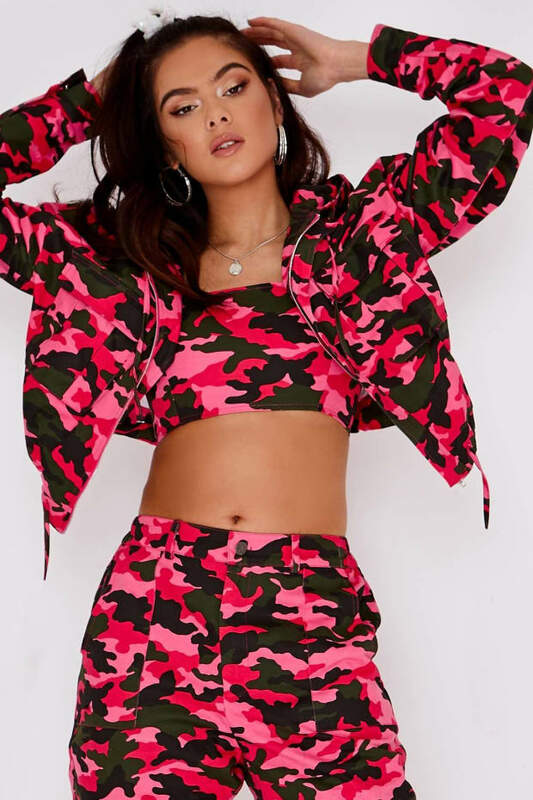 Style with the matching combat trousers and jacket for ultimate party vibes!